Born in the small town of Lufkin, Texas in 1878, William D. Gann developed some of the most unique and accurate methods of market timing ever known. The accuracy of this enigmatic man's predictions not only made him a legend during his life but have kept him at the forefront of most serious market students study over fifty years after his death. 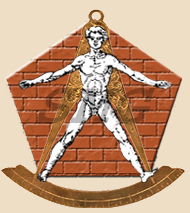 These courses are BY FAR the highest quality Gann courses offered anywhere. Mr. Cowan spent decades collecting material from multiple sources to put together the most complete, highest quality, original Gann courses offered anywhere. The material presented in these Master Courses is actually a series of "mini" courses sold separately by Gann between the 1930's and 1950's. These "mini-courses" sold for as much as $5,000 in the 1930's when the dollar was worth ten times its current value. 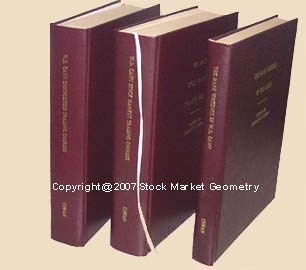 The two larger books group the individual courses together into Stock or Commodities related material. WHOLESALE TO THE PUBLIC! WHY PAY $1,300 EACH ELSEWHERE? Buy ALL 3 for only $595; or even less when purchased in a package deal.